This fruit cake recipe is adapted from an old magazine. Loaded with dried fruits steeped in rum and wine, richly flavored with aromatic spices, nicely balanced flavors, not too sweet and slightly dense fruit cake is a keeper with flavor, color and texture improving with age. Preparing dried fruits: I prepared the dried fruits a week ahead before baking. Finally chop all the dried fruits and nuts and soak in enough dark rum and red wine in a large jar such that half of the jar is filled. There should be enough room in the jar once the fruits and rum are added, as they will almost double in size. Secure cap tight and keep away for at least a minimum of 24 hours. You can make this a year ahead, 2-3 months ahead or even a week before baking the cake. Do shake the jar once in a while. Longer the fruits steep, better the flavor. Preparing Caramel: Heat a heavy bottomed vessel and cook the sugar and a tbsp of water on medium high heat. You will find that the sugar will melt and start to change color. Don’t stir, you can swirl the vessel, once or twice. When you find that the color has changed to a little darker golden brown color, turn off heat and place the vessel near the kitchen sink. Immediately, pour half a cup of water very carefully into the caramel and stir to mix well. You will find that the liquid will splash when you pour the water into the hot caramel. So make sure there are no children around the kitchen when are making the caramel and protect your hand by wearing a thick glove. Cool the caramel before adding to the cake batter. I made 2 batches of caramel, where one batch was a shade lighter than the other. The cake pieces in the second picture of the post is the one made with the lighter golden brown color caramel. 1 Sieve maida and baking pwd. 2 Seperate egg yolks from the whites. In a seperate bowl, whisk egg yolks with vanilla. 3 Beat the butter and powdered sugar till smooth and creamy. Add the egg yolk mixture little by little, alternating with a tbsp of the sieved flour and combine till smooth. 4 Add the spice powders and caramel, combine till well blended. 5 Add the sieved flour in 4-5 batches and combine till well blended. 6 Add the dried fruits (toss the dried fruits in two – three tbsp of flour) and using a spatula, fold it gently into the batter. 7 Finally, whisk egg whites till it forms peaks and gently fold into the cake batter till well combined. 8 Grease the cake tins and line with parchment paper. Pour batter up to half of the prepared cake tins and bake in a pre-heated oven at 325 degrees F (165 degrees celcius) for 1 hour. Keep checking from 50 mts itself. Sometimes you might have to bake beyond an hour. So bake at 250 degrees (130 degrees celcius) for another 5 to10 mts till the cake is brown and when you insert a knife into the cake, it should come through clean. 9 Once done, cool on a wire rack for 15 mts before removing the cake from the tin and carefully peel the paper. Cool the cake completely before wrapping in a clear plastic wrap. Keep away the cake for a minimum of 24 hours before serving. Slice the cake with a serrated knife. 1. The cake tastes best if it ripens for at least a week. 2. Caramel can be made ahead and stored in the refrigerator for a few days. 3. All the ingredients should be at room temperature. 4. Dust dried fruits in flour before adding into the cake batter. This will ensure that they do not sink to the bottom of the baked cake but spread evenly through out the cake. 5. You can substitute rum/wine with apple juice or pineapple juice. 6. Use fresh spices. 7. Line the greased cake tins along the sides also. 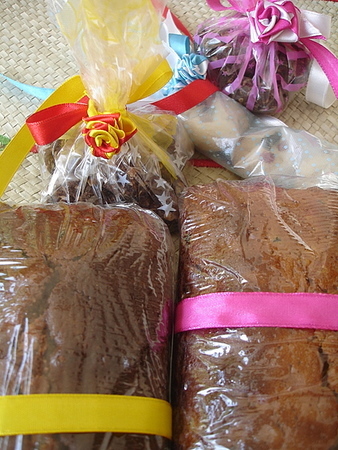 Check out more fruit cake recipes at Annita, Shammi, Archana, Bee, Mishmash, Shilpa and Meeta. My entry to A Fruit A Month – Dry Fruits event hosted by Latha and Lakshmi of ‘The Yum Blog’ and ‘Think Spice – Cinnamom’ event hosted by Sunita. Thats so beautiful Sailu. I love these fruit cakes :). This looks like the traditional one. 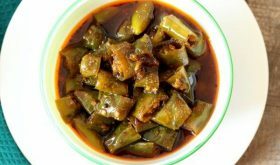 Its the traditional recipe, Shilpa. Best wishes to you and your family for a happy and prosperous 2008! looks so yummy! And I know what you mean about the tense caramelizing moments 🙂 I feel the same! Have a great year! All ur recipes r really wondeful!!!! Please could u post the recipe of Hyderabadi Biriyani too(both Veg & Non veg versions)? As I went through ur entire recipe collection, I felt only this was missing. 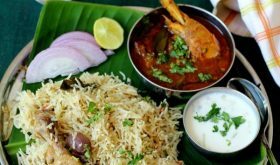 So kindly share the recipe for veg & non veg Hyderabadi Biriyani. chala santhosamga undi mee posts chusaka….just been waiting from so many days! :) this fruit cake is really so out of this world…tappakunda new year ki try chestanandi!almost roju mee site chustu unta…mee recipes kuda chala try chesanandi…maa ayinaki naa vantalu baga nachayi[we got married few mts ago:)]all the credit goes to sailu garu!! thanks a lot andi! wishing u n ur family a very happy new year 2008! Glad to see you’re back……looking forward to reading and enjoying your lovely recipes again. 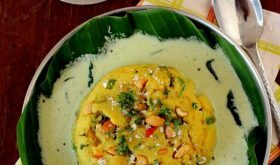 hai sailuji i am very happy that u continued to post recipes again.Thank u once again and Happy new year madam. I’ve been looking for recipe like this for a fruit cake for a while. You make it sound so simple. I am gonna try it this week and post it with pics.Thank you for the lovely recipe. 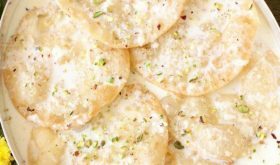 hi sailu,i am new here..i love ur blog.. got into ur blog thru google search..my god u have lots and lots of recipes…expecting more tasty recipes in 2008! 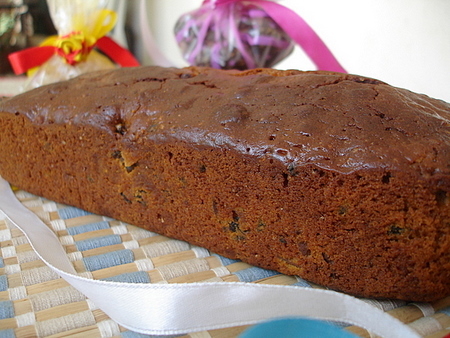 It’s good to see a post from you – What a coincidence – I made a fruitcake recently (it was my first attempt at making it). I boiled the fruit and rum mixture briefly instead of aging it – it seems like a shortcut that has been used in some recipes. I will certainly try to use caramel the next time as several recipes use it. Tried the plum cake recipe. It turned out Real good. It reminded us of our Christmas tradition back Home(Vizag) and the plum cake from Crown Bakery. My husband loved it and was all over it. Thanks for sharing the recipe. Are the dried fruits especially high quality or will this recipe work with if they are just generic/regular? Also, just curious – have you soaked the fruits for longer than 1 week? I have bought the best quality dried fruit available and the recipe will work absolutely fine with the regular dried fruits. I soaked for 8 days. I’ve made all kinds of cakes except an out and out Fruit cake!! I think I really have to try one out now:) yours looks really pretty! hey i made this guy an hour back. This cake look very dry and i exactly followed the receipe as is. Any thing that i can do to make it better, I am going to let the cake sit for 24 hrs and see how it comes out. Can i apply some thing on the surface to make it moist. I am not sure if it is really going to be dry or moist? Please let me know. It’s alright Shruti. Brush cake with rum or orange juice or a combination of both. Iâ€™ve been looking for fruit cake recipe. Thanks for sharing this recipe.I tried it out this week and it came out well. 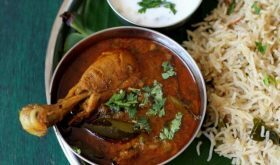 I’ve heard a lot about Hyderabadi Biriyani. If you have the recipe could you please share it. HI SAILU, UR FRUIT CAKE & CHICKEN MASALA BALLS MADE MY MARRIAGE ANNIVERSARY MEMORABLE. THANXS DEAR, U MAKE PERFECT THINGS. U R A GENIUS!!!!!!!!!!!! LUV U & UR COOKING!!!!!!!!!!!!!!!!!! This is the first time i am commenting here. You have a superb site with excellent tried and tested recipes. So far i have tried many of your recipes (silent visitor since 2 years) and none have failed. This cake was excellent. I just finished baking abt 45 min ago. Could not resit and had finally to cut the loaf cake. Demand was high from the boys. ary, This is just for information of the US readers. Thanks Sailu once again. I guess my incomplete comment got posted. Nice recipe, but I’ve couple of questions. This recipe doesn’t taste good if one is not using spiced rum to soak the dried fruit; can also use dried mango, papaya and pineapple. .
Where can one find these items, pl. Your fruit cake looks delicious. I want to try it. Before i prepare, i have a doubt..if i soak the dry fruits in orange juice whether it can be soaked for 1 week or just one day. Please help me..
Its better if soaked longer, atleast a few days. Yesterday i tried ur fruit cake.It turned out delicious..even i couldnt beleive that i baked this cake or not..its bcoz of ur step by step clear description and all.As u mentioned i soaked the dry fruits in orange juice for 4 days and then used it..Once again thanks a lot..But now iam very eager to learn how to decorate a cake ..pls help me. Sailu this was a wonderful recipe and i tried it today…the aroma was good but the cake looked dry. How to get the moist?? This is more of a dry fruit cake, Pooja. You could add a cup of applesauce for a moister cake. what happens to the liquid. you mention in the recipe that the dry fruits shd be tossed in dry maida. does it mean that the leftover rum/wine shd be thrown away or can it be added to the cake batter or no rum/wine is left over after the dry fruits get throughly marinated in it. When i make this cake i add the liquid to it.. the taste is really amazing!!!!!!!!!!!!!!!!! I just baked a fruit cake mostly from your recipe, but with a few adaptations…This recipe is almost 100% similar to what i would see baked at home. It came out really good. I will post soon & I am going to link back to your recipe if you do not mind. Would like to know what kind of oven u r using? Is it a conventional one or microwave? where in India can we get the conventional oven? mostly it would be gas or electric? is there any size variation in ovens? want to have a moderate size for my small kitchen? can u please reply? OTG (Electric) 14 lts is what I have been using since years. They are available in most electronic stores all over India even in smaller towns. You could opt for a 9 lts one if available or 14 lts. I use Murphy Richards OTG. Hi Sailu, I am writing here with a couple(err…many) of queries that other readers have already asked. 1. What is candied lemon? Is it readily available in super markets or can it be made at home? Just curious — do you buy these from Karachi/Nilgiris stores in Vizag? 2. Orange peel, can we use fresh orange peel? Once the dry fruits are soaked in Rum+wine can we leave the jar at room temperature? and can the fruits be taken out of the liquid just before mixing in the cake batter? You are saying that the dry fruits can be prepared as much as one year ahead. So, do you mean that they will stay soaked in the liquid all through this period? Hope I am not annoying you with a series of questions. Just wanted to clarify my doubts before venturing to prepare this lovely fruit cake for this Christmas. Candied peel is nothing but lemon/orange peel that has been boiled and cooked in sugar syrup. In Poorna Market, inside there is an old store called ‘Karachi’ which sells most of the ingredients called for fruit cake like candied peel, tutti fruits, dry fruits etc. They might be available at Karachiwala at Siripuram. You can leave them at room temp and remove at the time of baking the fruit cake. And, yes, they stay soaked year long. Shri, you haven’t annoyed me at all. 🙂 Hope you enjoy baking the cake and relishing it too. I made the caramel syrup today. It turned out little bitter. Do you think it’s okay to use in the cake. Yes, Meena, go ahead and use it. It shouldn’t be a problem. Thank you so much for a quick turn around sailu.. If I use juice instead of rum/wine, should I leave the soaked dry fruit in the fridge or outside at room temperature? You can soak for a day and overnight, Usha garu, at room temp. Yes, you can bake it by dividing the batter into two portions, one after the other. I came across your blog while googling for a fruit cake recipe. Just tried making the caramel twice today and the first time it turned to rock candy and the second time was better; but still not perfect. My question is can I add more than a tbsp of water to dissolve the sugar or does the water measurement hav to be exact? Second question, I am wondering if I can substitute brown sugar for the caramel. Will this work? If so, how much brown sugar do I need to add? Btw, you have an amazing blog. Cant wait to try your other recipes esp the chaat stuff, which is my absolute favorite. Yes, you have to add only a tbsp of water. Yes, you can use brown sugar but it will be very dark compared to the one made with white sugar. Use the same quantity of brown sugar as you would white sugar. I’m looking for a “Champagne Fruitcake” recipe… do you think the rum/wine combination in this recipe could be substituted well with sparkling white wine?? Rum and red wine work best. I am not sure about white wine though. Love your blog and your plum cake pics. Thanks for sharing. I have trouble with the caramel- how do I prevent it from hardening? I am not sure if it’s due to something I’m doing but the lumps are not letting my cake bake right. Appreciate your response. Can I replace oil or margarine for butter ? 1 tsp baking pwder is that rite? coz cake didnt rise much as its for 4 people I didnt want bake a big batch. Use 1 cup + 2 tbsps maida and 1 tsp baking pwd. You mean outside right ? not in the fridge ? Keep away the cake at room temperature. The address ? or postmark or something. Anything which will help me locate it. You have to enter the Poorna Market complex where they sell vegetables. Along side the vegetable vendors, there are also stores selling grocery items and kitchen appliances. In one of those rows, is located Karachi store. Anyone will guide you there if you ask for Karachi store. Its close to where the fruit vendors are located. I finally made the cake and it turned out AWESOME. I substituted oil for butter and whole wheat pastry flour for half of the maida. The taste was out of this world. Can I soak the dried fruits with 1 1/4 cup of redwine only (without rum) ? Tried your recipe today,though it tasted great however,i got stuck at the bottom of the baking vessel and also got burnt a little bit. After greasing the pan, you have to line it with butter/parchment paper. Then the cake will not stick to the pan. Thank you for the suggestion 🙂 and also the cake had a thick upper crust , I guess thick happened because once I checked the cake while in the oven it was not baked from the center , and i continued baking at the same temp. My loaves just came out of the oven and are smelling good. But I’m going to wait a week before I taste them! Hi Sailu, I tried your recipe last week (been saving the recipe since a year!). I purchased a Usha Lexus OTG (with a 250C as max temp.) and wanted to try the cake first. Though I followed the steps exactly – I dont know what went wrong. 2) I removed it and added the second batch and kept watch since 15 mins. The inner remained soft. It tasted more of egg. and was “white” I mean dint turn brown like the picture. Pls explain what could have gone wrong – I am a newbie in baking. I am sorry if I messed up your recipe. Your blog has been wunderful.. Its like my kitchen bible now 🙂 .. great recipes.. even wunderful instructions and measurements. Have tried out so many of you dishes and they have come out so well.. I have a doubt here for the fruit cake. I am planning to bake this cake in my microwave using convention method. Could you let me know the temperature and time for microwave. Also is it possible to use a butter paper while using a microwave in convention mode ? if not what could i do in order to avoid the cake getting stuck to the bottom. is there any substitute for rum and red wine???? You can add grape juice. I tried this Recipe twice and it turned out great!! I soaked the dry fruits in Apple cider..had no time to soak for a week.So boiled the fruits in cider and let it stay for two hours. I also included candied ginger. I was very satisfied with the recipe. Thanx. Yes, you can make them into smaller loaf cakes. one more thing,since i am planning to get this made few days from now i have read that we could retain the moisture and flavor by wrapping them first in a cling film or parchment paper and then wrap it with a foil (with an occasional brush through of either your rum or the fruit juice) and can store it in a plastic storage bin.Correct me if i am wrong as this is the first time i will be preparing this and want to do it the right way.Will keep you posted on how the cake turns out..Once again thanks a bunch..
You can lightly grease and pour batter. No need of parchement paper. If I am baking cake batter in mini loaf pan, how long am I supposed to bake at what temperature? I want to make around 4 cakes, can I double your recipe? I prepared your cake twice and it was delicious. I have a small query. 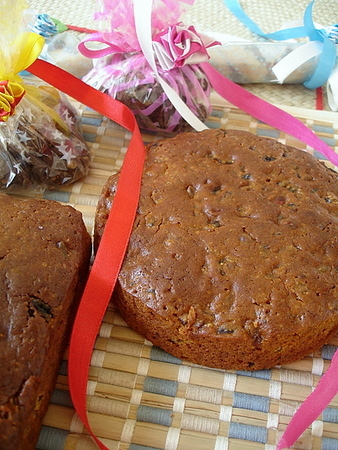 I prepared a loaf fruit cake(only rum soaking) using your recipe on 4th or 5th november as I wanted to gift it to someone. Due to some reason it got delayed and now it will be consumed on or after 22 November. I wrapped it in butter paper and aluminum foil and kept it in my almirah to avoid rat attack. Yesterday I was scared about whether it is fine or not so I transferred it to the bottom most rack of the fridge. Tomorrow it will land in a suitcase and will be consumed on 22nd Nov or later. Will it be fine till then? I am a bit nervous. Thanks. Slight smell of rum was still coming from it so I guess it might be fine.I couldn’t taste it because it’s out of reach now.